Samsung Galaxy s5 released recently has a very minamalistic appearance in the Software and Hardware appearance, the Wallpapers are minimalistic as well with the two Crystal designed wallpapers in multi color and Blue Color backgrounds. Here is the Samsung Galaxy S5 stock Wallpaper which many of you are searching for in vain all around the internet. Samsung Galaxy S5 has got its share of awkward looks from people who saw the back of the phone but some pleasent looks when they saw the front end of the phone and i must say the Wallpaper also might have been a reason, the wallpapers for Galaxy s5 are not thateye catching as the ones seen in S3 and S4 which were unique, but i guess this is the season of being Minimalistic in your design, User Interface everything as we saw in iOS7, iPhone 5, Kitkat and now the Galaxy S5. Whatever might be the reviews and comments about the Galaxy S5 in 2014 the Samsung Galaxy s5 will be the phone that all the manufacturers look to beat. With the LG G2 getting amazing reviews against the Galaxy S4 let us see if any device from LG can once again challenge the S5. 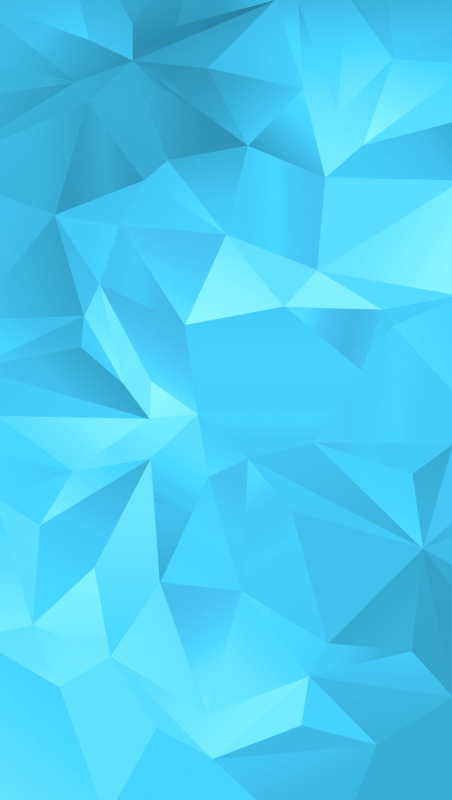 Here is another Blue version of the Samsung Galaxy s5 Stock Wallpaper, which was released recently and created by Shimmi1 on Devian Art. The Screen resolution of Galaxy s5 is 1080p and it is surely going to be a great device to look at, with the crystal clear view of images and the option to see Full HD movies without much a problem can help a lot in its sales. Another great feature of having the 4k Video Recording is similar to having 4 x 1080p quality Video in one Video. Get these wallpapers on your device if you liked these minimalistic Wallpapers from Galaxy s5 and do Subscribe and Like our Facebook Page for more updates on latest tips, tricks and updates in Technology.